Increase jobsite safety, profits and efficiency with ProTalk® Radios. ProTalk® Radios make communications easy to use, keeping workers and materials everywhere they need to be. In construction, where employees are mobile and commonly carry materials and work around machinery, radio durability is critical. 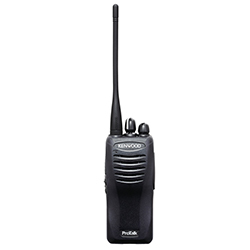 ProTalk radios meet military specifications for durability and are resistant to water and dust. Recommended radio for Construction Job Sites.